Cable splicing kits are manufactured from durable plastic suitable for either 2 or 3 way cable splicing of low current cables. These splice kits protect the cable joint from moisture ingress. 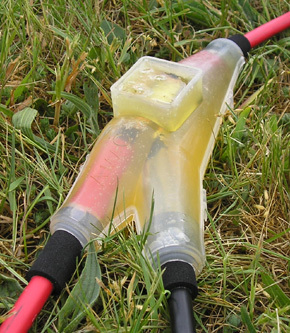 Splice kits have proven to be very strong in many environmental conditions. They are moisture resistant for above or below ground applications. They are widely used in the telecommunication industry, as well as cathodic protection systems. 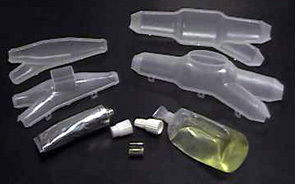 Splice kits come in 2 different sizes, and are suitable for splicing cables up to 37mm OD. These items can also be purchased individually.